Our menu features a selection of tasty starters, tender and tempting steaks, chargrilled dishes, fresh salads, fish dishes and delicious desserts. If you like quality food at a reasonable price then you won’t be disappointed. See our menu & book your table today. Fancy something lighter? See our Snacks Menu for lite bites, breakfasts, sandwiches and pizza! 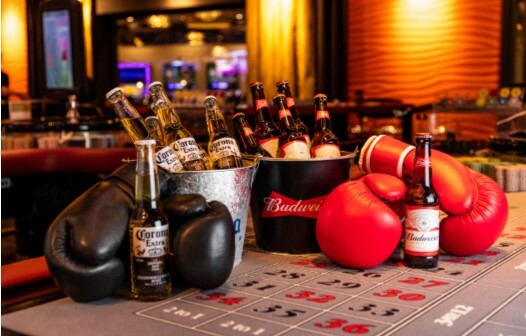 The relaxing and welcoming Late bar at Rainbow Casino Birmingham has a warm, friendly and enjoyable atmosphere, making it the perfect place to meet and relax. 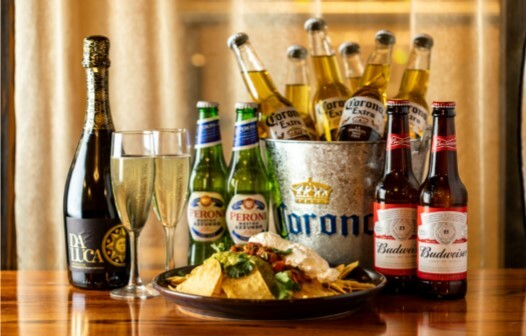 Whether you want to sample one of our many amazing cocktails or have a refreshing drink with friends whilst watching the latest sporting action, the Late Bar has it all. See our Snack and Wine & Cocktail menu for our delicious food and amazing drinks!